Megakit is a free one page multipurpose responsive template. It's built with HTML5 CSS3 Bootstrap jQuery. The Megakit holds Parallax Effect, Smooth Scroll. 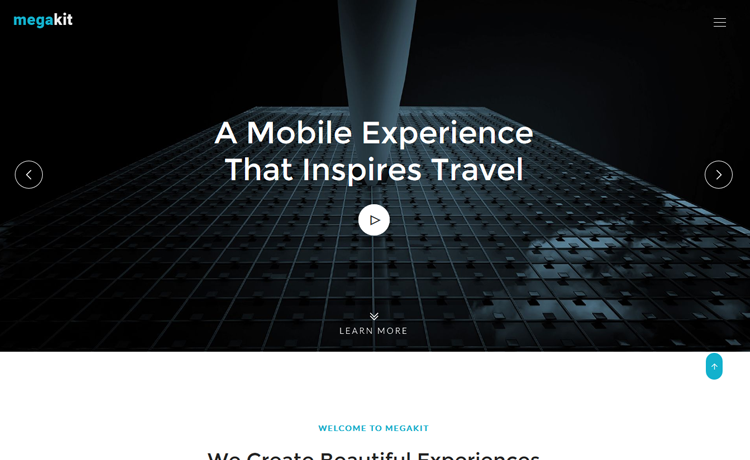 The Megakit is a one page multipurpose responsive template. It’s a perfect adaptable template, so you don’t need any core modification. The Keenthemes team developed it with a lot of features. With this, they also provide you corporate, app-landing, portfolio, events, lawyer, clinic, and coming soon demo pages. The Megakit has the stunning and intuitive design. Besides, it assures you an excellent UX with a great UI. It has the parallax effect which provides a smart look. Its creative and needy sections let you present your valuable information. Also, it contains the perfect color combination. Therefore, people fill comfort to find their topics and read them. They will appreciate your website after surfing. If you develop your site using Megakit, its UI design will draw attention to your potential clients. The Megakit was bulit with the HTML5 and CSS3. It also contains a lot of latest web technologies like Bootstrap, jQuery, animate.css, Parallax Effect, Scrollbar Plugin and so on. The amazing look of this template can be possible for these technologies provide an exciting UX to it. In addition, The jQuery effects and CSS3 animations furnish a smart look. Therefore, The layout of The Megakit is bright and spacious. Now, maximum web visitors surf websites from handheld devices. Web technologies of mobile and computer are different. So, The frontend Web Developers choose the responsive technology that merges those two platforms. The keentheme team has developed the Megakit on the mobile first responsive concept. They used a bootstrap grid system to build this template. They have scaled it from smaller to larger devices step by step. Here, check it out in Google’s Mobile-Friendly Test Tool that is it responsive or not. The developer team develops the Megakit in such a way that it has great speed. Page loading time is too little. When you use your image instead of demo images, please use the web friendly image. That tricks will increase your page speed. Here, you can check this template speed in Google Page Speed test. The Megakit holds 100% W3C valid markups. Also, it’s an error-free template. So, your site won’t be unusable like other free one pages multipurpose responsive template. You have to add metadata carefully into the meta tags in the head section. Here, you can gather more information from Google’s SEO Guide to include meta information. It’s incredibly easy to customize. The developer team separated each section by a comment. So, you can get the proper direction to find them. Check these carefully, and then apply changes to your site. After all, Megakit is a one page multipurpose responsive template. Therefore, you can download it to launch your site. Also, there are many different categories high-quality free templates in ThemeWagon. You can browse them to choose and download. Also, you can get the premium HTML5 templates here. PLEASE study me html5. Thank you. Great multipurpose template by Keenthemes. on the top right I can’t enter email. It says “Download with a tweet”. I tweeted but can’t get the download link. nvm it’s my browser bug.. If there’s any trouble, let me know. Hope you got it right. Good day. Hello Guys having problems instaling in WordPress 4.8.3 cant not instal no style.ccs not present, but it is inside the .zip…what could be the answer? That’s because it’s an HTML template, not a WordPress theme. Enter your email on the top right side and get the download link.